Enjoy powerful acoustics, premium design and the convenience of playing anything you want, any way you want, through a wireless connection. 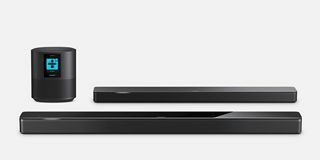 New speakers and soundbars with superior Bose sound and premium sleek design. Speakers and soundbars with classic Bose sound, quality design and easy access to music. Works exclusively with other Bose smart speakers. Does not work with SoundTouch speakers or soundbars. 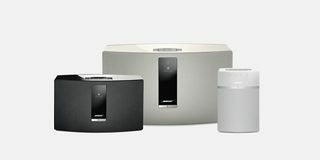 Works exclusively with other SoundTouch products. Does not work with Bose smart speakers or soundbars. Show us yours or see how other people listen.